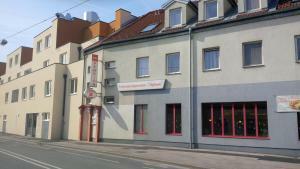 VCA Vienna City Apartments price per day from € 249 . Apartment - Apartment 1150 . Best of Vienna Apartments Vogelsanggasse price per day from € 59 . Apartment Vienna - Rudolfsheim price per day from € 40 . SIN Apartments Rossauer Lände price per day from € 126 . Hotel Am Schubertring price per day from € 96 . Hotel Am Parkring price per day from € 79 . 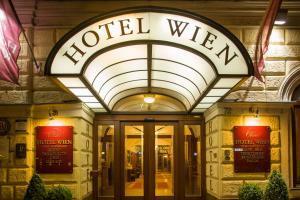 Austria Classic Hotel Wien price per day from € 149 . Urban Stay Hotel Columbia price per day from € 63 . Frühstückspension Stefanie price per day from € 66 . 1. Head southwest on Landhausg. toward Schmiedg. 2. Turn left onto Schmiedg. 3. Turn right onto Joanneumring. 4. Take the 1st left onto Wielandg. 5. Turn left onto Grazbachg. 6. Turn right onto Conrad-von-Hötzendorf-Straße. 7. Turn left onto Ulrich-Lichtenstein-Gasse. 8. Continue onto Liebenauer Tangente. 12. Take the exit toward B227. 13. Merge onto A4. Partial toll road. 14. Continue onto Schüttelstr.227. Continue to follow B227. 15. Turn left onto Aspernbrücke. 17. Turn right onto Zedlitzg. Golf club Colony Club Gutenhof (West), 16.9 km from the centre of town of Vienna. Golf club Fontana, 24.8 km from the centre of town of Vienna. Ski resort Hauereck / Waldheimat, excellent nightlife, many restaurants and pubs. 83 km from town of Vienna. Ski resort Annaberg, altitude: 780m. 83 km from town of Vienna. Ski resort Lackenhof am Ötscher, altitude: 810m. 96 km from town of Vienna.